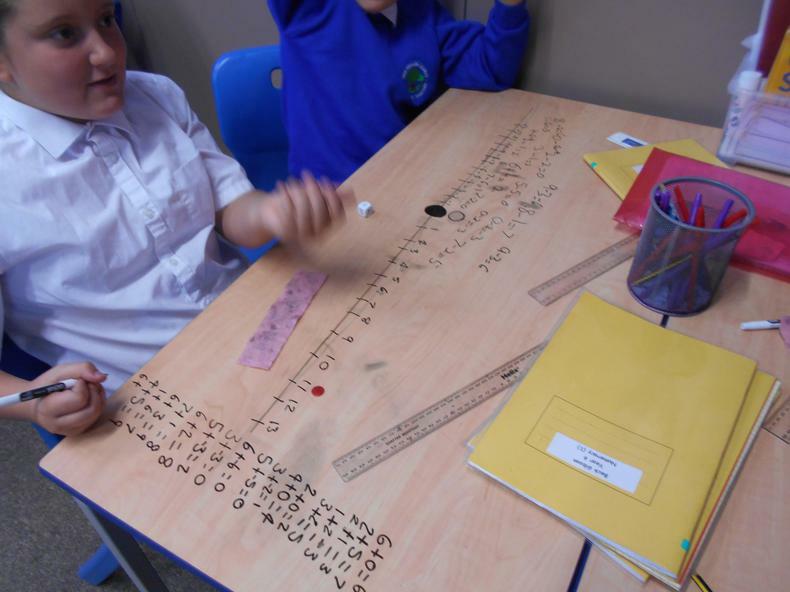 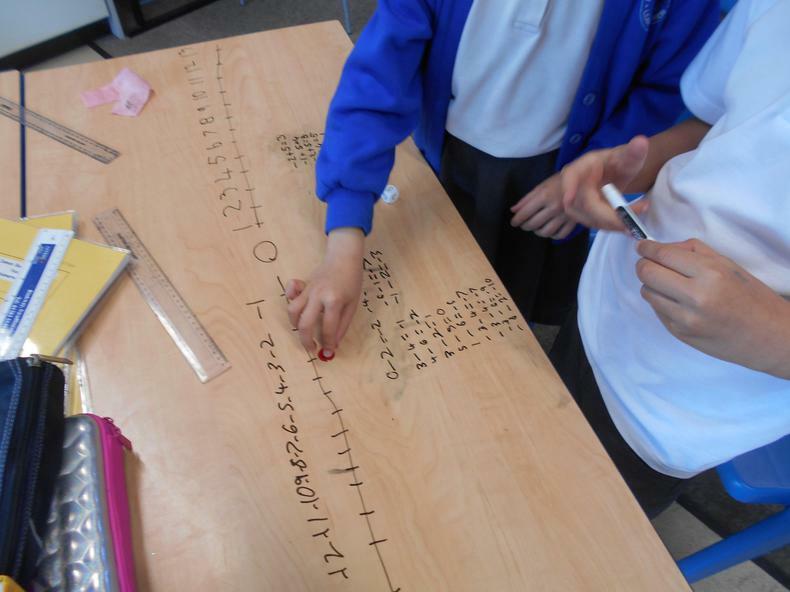 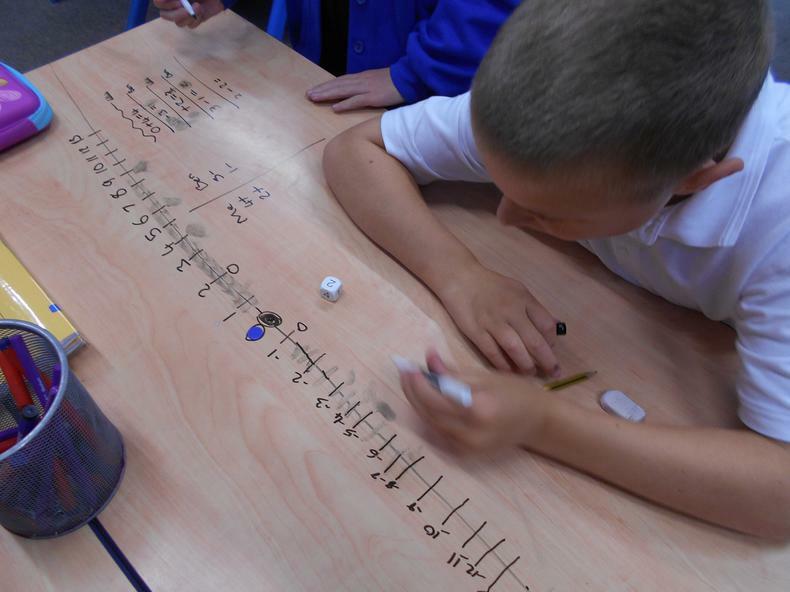 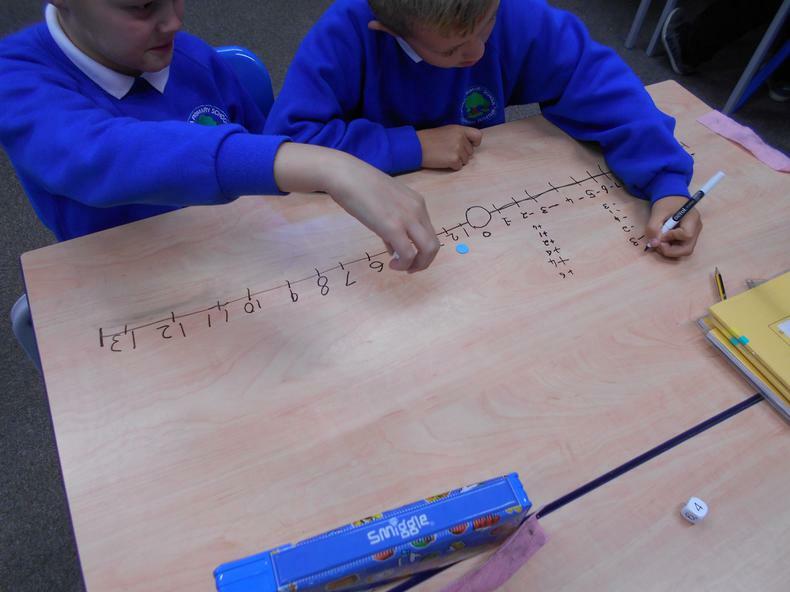 We have had great fun with our maths learning this week, especially when looking at negative numbers. 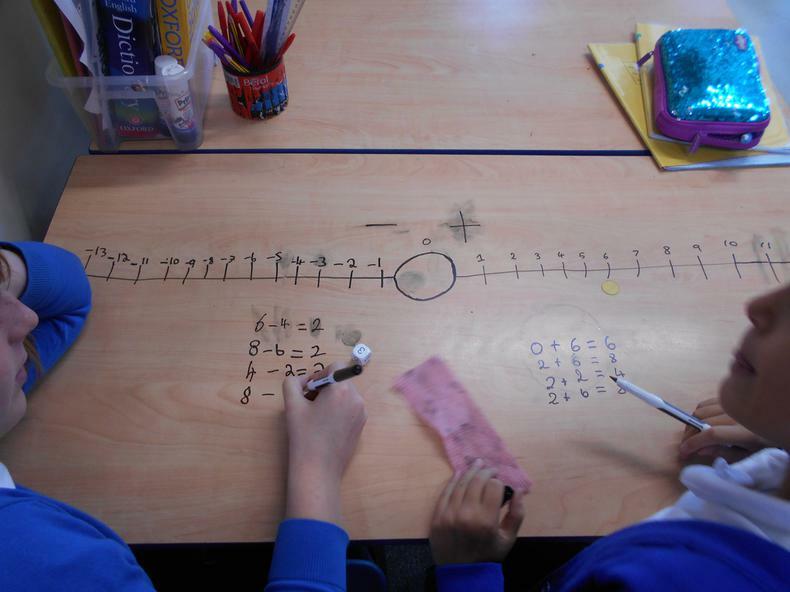 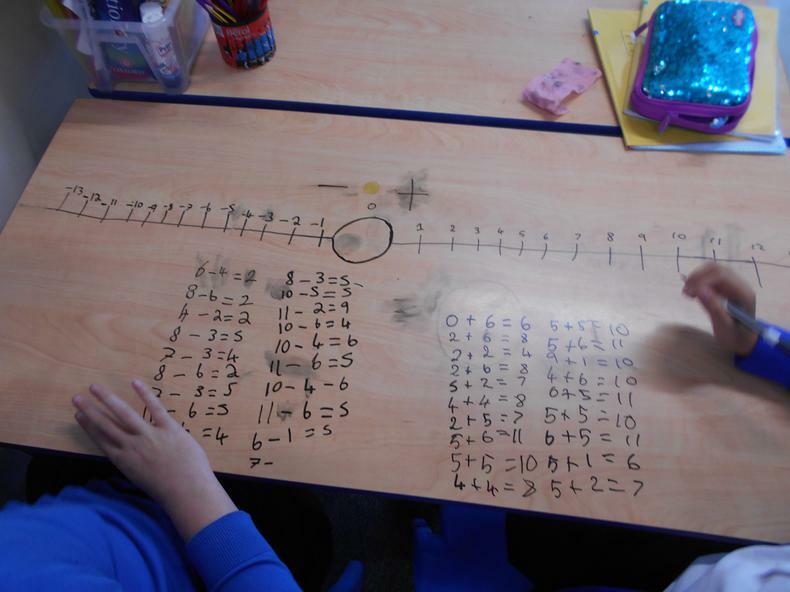 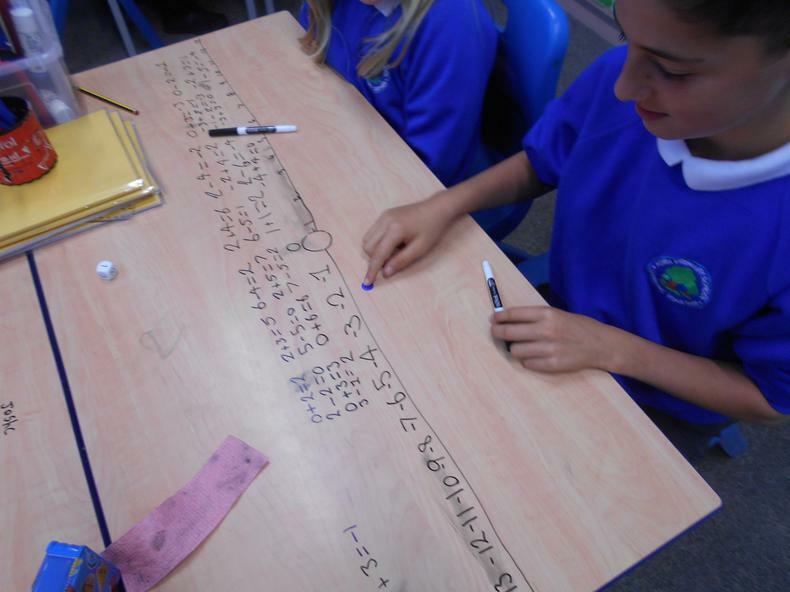 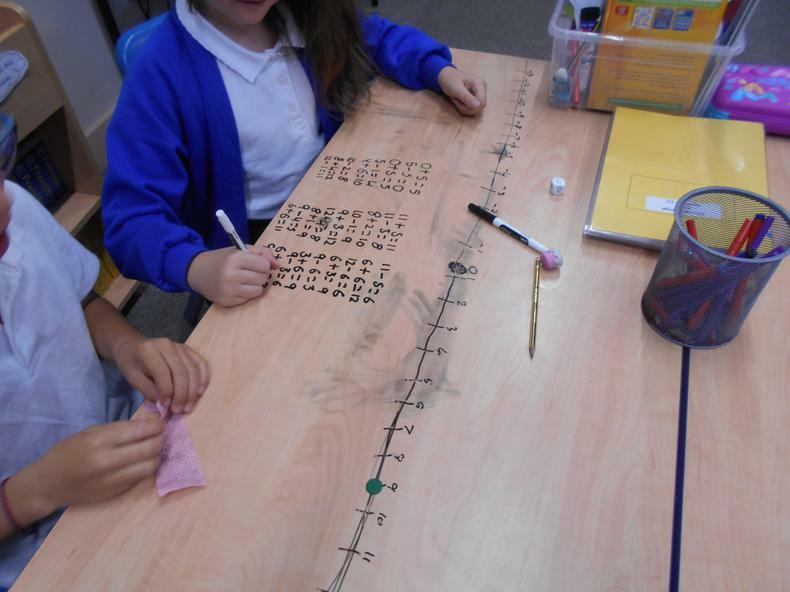 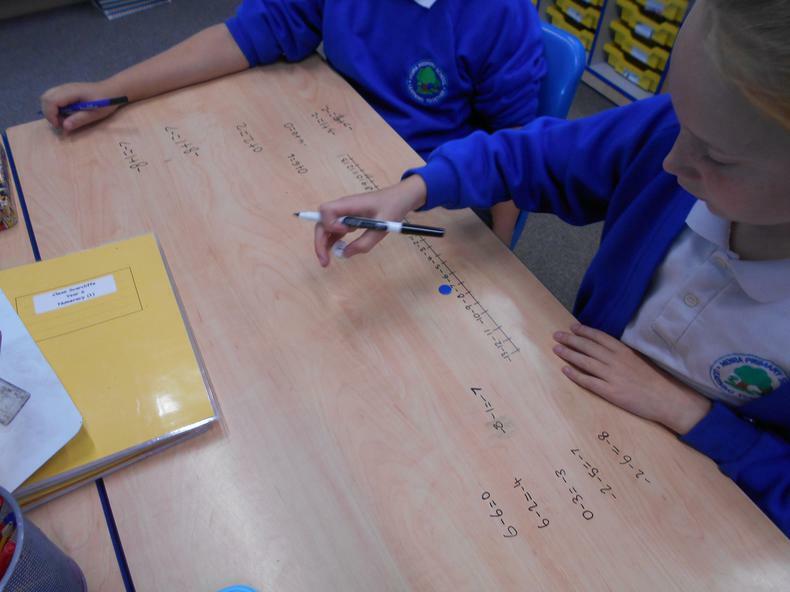 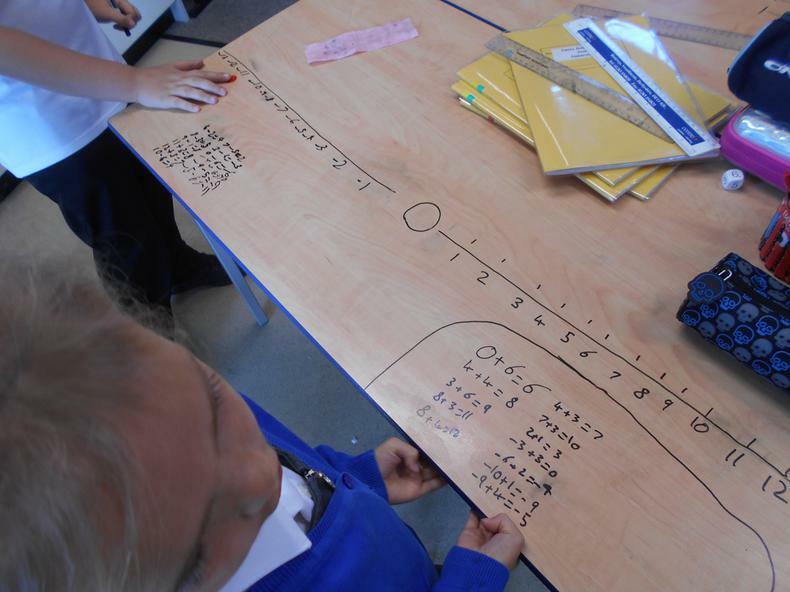 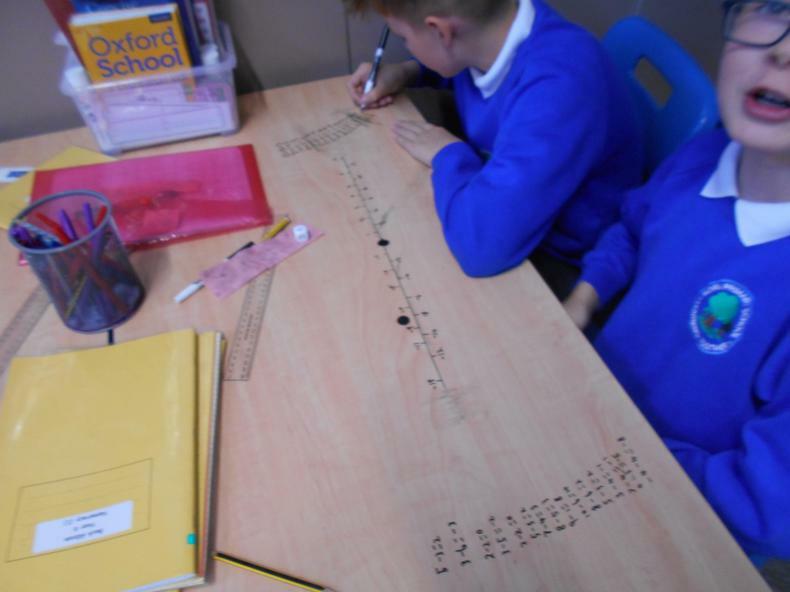 We wrote on tables in order to play a game to help us understand what happens when calculating with positive and negative numbers. 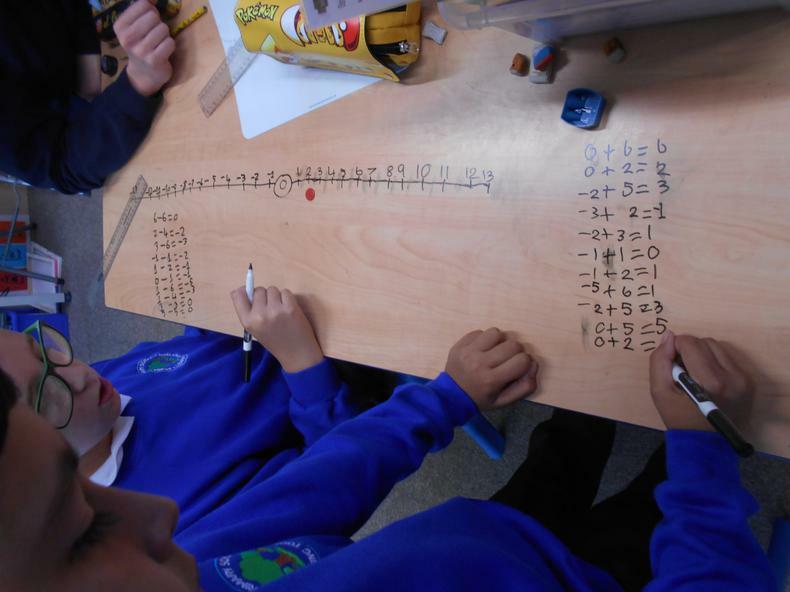 If you + a positive number (++) the value will increase. 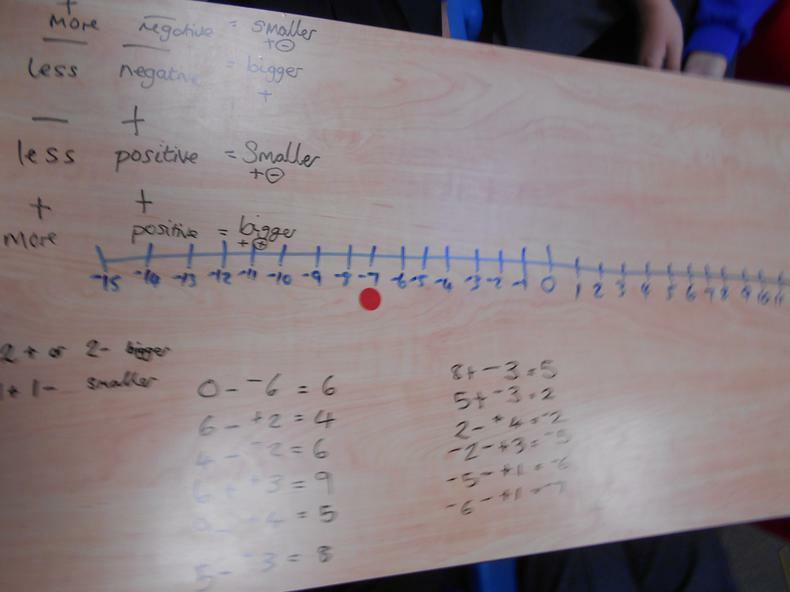 If you - a positive number (-+) the value will decrease. 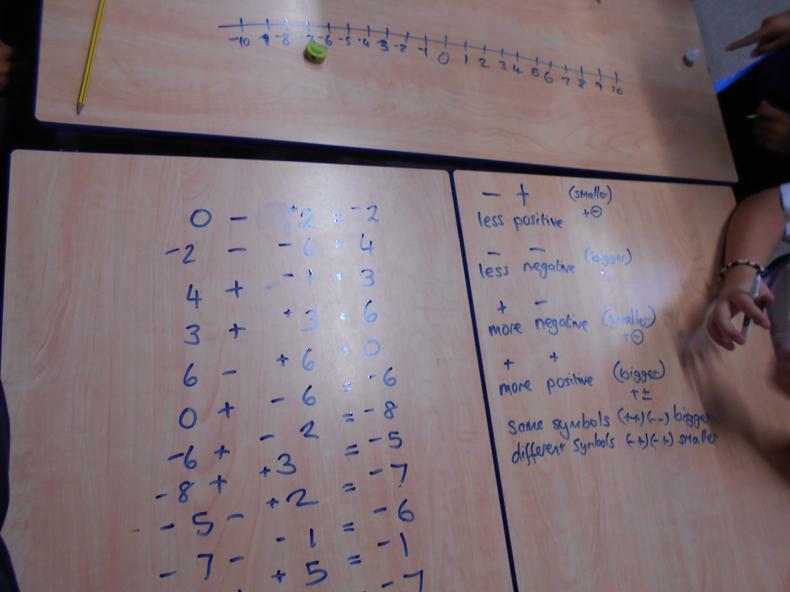 If you + a negative number (+-) the value will decrease. 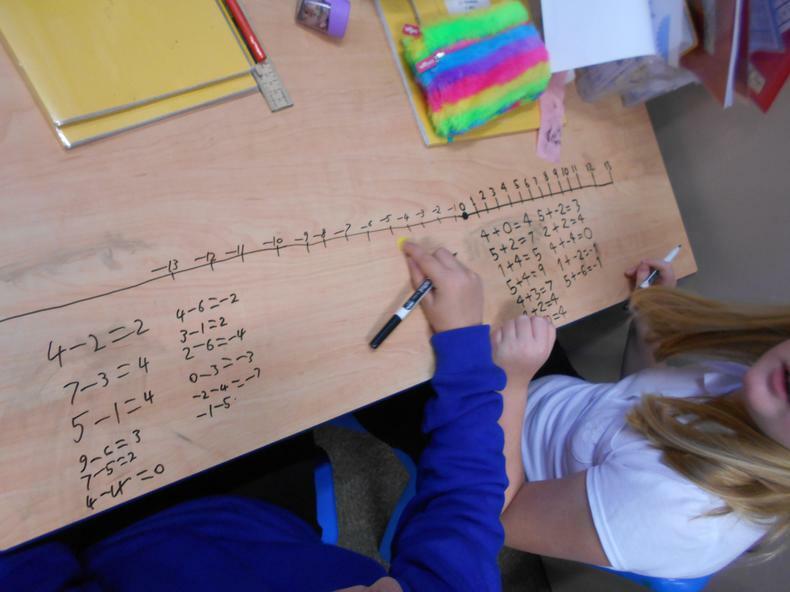 If you - and negative number (--) the value will increase.